Squat, lift, left, right, forward, back. Many days your workday might seem more like a workout video on repeat than anything else. And tired feet are the last thing you want to feel from your work boots. Whether you’re starting out or are a leader on the job as Wolverine is, an on-the-job comfort that you can control is a modern-day must-have. Wolverine Boots, with 125 years of experience from America’s heartland, delivers that kind of workplace control in its new ICS work boot with its proprietary technology that provides the ultimate in customizable foot comfort. How does Wolverine give you control in your workday? 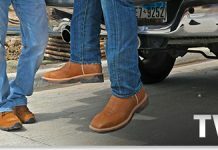 Wolverine’s ICS technology is a finely honed, unique system in its newest products, like the ICS work boots, that allows the work boot wearer to adjust heel impact for how you move through your workday. 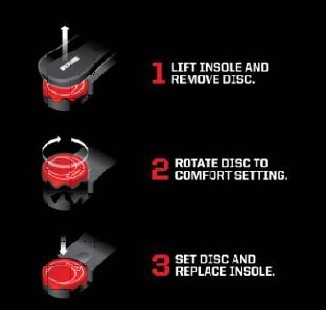 This system’s gel disc in the boot’s heel can be set at one of four settings: cushion, firm, inward, or outward support. 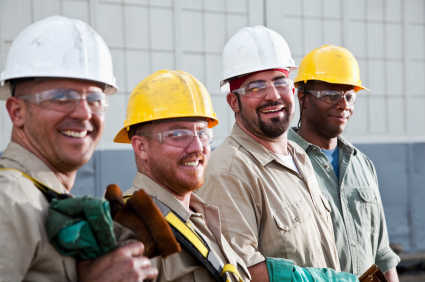 So depending on your work moves or your own body’s particular needs, there’s reassuring support from that valuable work gear – your work boots. Walking a beam or redefining infrastructure, the kinds of experience Wolverine boots are built on may entail more risk than guarantee; but with Wolverine’s newest work boots, you get comfort – guaranteed. In addition, as you work on the high standards of the specs you’re charged to execute, Wolverine boots carry you through tough tasks with quality and durability that’s already set the industry’s standards. So why not manage the basic on the job aspects that are within your control. And, for added on-your-feet and on-the-move demands, an Ortholite footbed with performance arch support as well as a lightweight polyurethane midsole offer cushion for long days of the season. As you demonstrate your moment-to-moment flexibility to get the job done, you can count on Wolverine’s rubber lug outsoles to provide relentless traction and the supple cement construction to provide an unparalleled industry move-with-you ability. Grab some work control and be as comfortable as you can – all day, every day – with Wolverine ICS work boots.